Kurrajong garden: The colour purple . . . . . The colour purple . . . . . 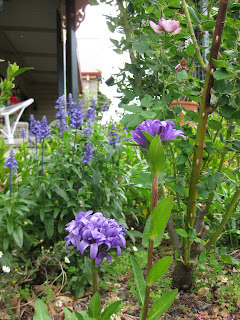 This is Campanula Glomerata Superba. Not quite purple, but a sweet Alpine Flox. Not at all purple, and my, haven't the spiders been busy. 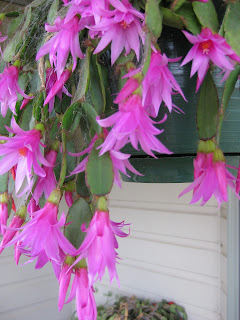 One of Mum's zygocactus. Can you guess . . . .
Two thoughts for today . . . .
Well, I hate to say it . . . . .
Spring again . . . .